Google automatically delivers pay per click ads on your Wordpress website based on content, viewers geographical location, gender, past sites visited and other factors. These Google ads are called Adsense. No, you cannot physically select a option to tell Google what your site is about. It is key to have targeted and focused content so Google will understand and be able to serve ads that are targeted to your audience and ads that your viewers will find useful. This way you will maximize your profits. Take for example, your Wordpress website is all running. You write content about running tips, running training plans, running fuel for your body, running clothes, running shoes, running drills or anything related to running. Google will pick up that your website is about running and readers on your site will likely be interested in ads that are related to sports or sports apparel. So Google will deliver either image or text banners that are contextually catered to your website. It is more likely that your viewers will click on these ads because they will find them useful. If your Wordpress site talks about running and other random subjects not related to sports, Google will not know what kind of ads to show. It will probably display random list of ads that are totally unrelated and not useful to the viewer, hence never be clicked on. 1. WordPress plugin – I installed the plugin called “All in one Adsense and YPN”. You can easily manage your Google Adsense ads display location, color, size, display options, number of ads to show and very configurable. There are 2 things I check first after I install this plugin and that is – my adsense publisher ID is correct and (I know this is bad but) the donations box at the bottom is zero percent. Yes, please donate to the developer of the plugin on his site, he did a lot of hard work. The Adsense code will continue to display even if you change your Wordpress template. 2. 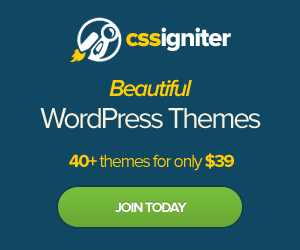 WordPress Widgets – The simple and easy way is to just add the code directly on your WordPress site wiithout using plugins. Copy the script code from Google Adsense and go to your WordPress Appearance, Widgets. Drag over the text widget to your sidebar and paste the Adsense code into the text box. The Adsense code will continue to display even if you change your Wordpress template providing that the template has the sidebar you put the adsense code in. 3. Directly into the template code. Another option which is rarely used, or maybe if you are html or php code savvy you can go to your WordPress activated theme directory via the FTP or File manager and add code directly into the file called single_post.php. (You can also see it under Appearance, Themes, Custom File Editor). This is if you want your ads to show up when users click on your post to see it on a single page. The Adsense code will not display if you change your Worpdress template. You will need to reenter the code in the new single_post.php under the new template. Initially after you add the adsense code to your WordPress site you will not see anything. You will just see a blank box where your adsense code will be displayed. It takes about 24 hours or less for Google to scan your page and deliver it’s first set of ads. After that Google will continuously scan through your pages to understand your content and to deliver ads related to your WordPress website.